If you’re reading this, you most likely count calories or have considered doing so in hopes of influencing your weight, shape, or feeling in control of your diet. I, myself have been slave to the MyFitnessPal App for many years. During my eating disorder, I counted calories religiously. I would weigh foods to the gram just so they would fit into my daily calorie limit. I would cut the ends off of carrots so they were exactly a certain weight. I would only eat half of a container of yogurt, just because I was afraid to go over a number I had set for myself. Even when I was in recovery, I continued to count calories. I convinced myself and others that I needed to continue to do so because I needed to make sure I was getting enough and wanted to make sure I was truly meeting my calorie goal. Calorie counting is addictive, and like all addictions, it never ends well. Either you restrict yourself so much that you die of starvation, or you can no longer fight off your cravings and binge on an entire pack of cookies. Calorie counting looks different for everyone. In any case, it is unhealthy, and not effective for your overall health. Here are five reasons why. Seriously. According to the FDA Guidance for Industry Nutrition Labeling Manual, a 20% margin of error is allowed on the nutrition facts panel. That means your Halo Top ice cream could be 432 calories instead of 360. Or that slice of toast could only be 64 calories instead of 80. Would you then have different amounts of these items? If your answer to that is yes, you may want to consider tuning into what your body wants, instead of what your calorie app is telling you. You may have heard the saying “a calorie is a calorie” before. Or that a gram of fat has nine calories, and a gram of carbohydrate or a gram of protein has 4 calories. While these statements may be true, these are merely looking at numbers, and not at biology. Our bodies are not machines that run off of computations. Our bodies absorb different foods in different ways, and some of the nutrients we eat don’t even get absorbed at all! In a recent study from scientists at the US Department of Agriculture, funded by the Almond Board of California, they found that up to 25% of calories in almonds are not even absorbed by the human body! You probably didn’t consider that when adding a 1/4 cup of nuts to your calorie log the other day. While it’s nice to know what kinds of vitamins and minerals are contained in certain fruits and vegetables, there’s no way the USDA could ever perfectly calculate every variety of everyvegetable in every season and every stage of ripeness. That super sweet, juicy strawberry probably has more calories (and nutrients) than that white, unripened winter one; but which would you rather eat? 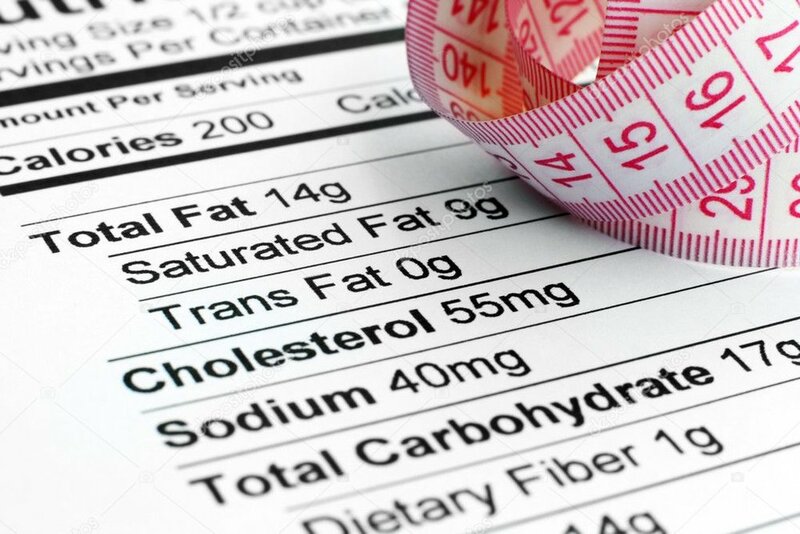 When people count calories, they often restrict foods that are high in calories, such as healthy fats. They omit these foods from their diets without thinking about what benefits they may provide, such as necessary nutrients and vitamins. Take salmon for example. Very high in calories, but SO incredibly nutritious. It’s extremely high in omega-3 fatty acids, which, according to studies, have been linked to an increase in lean mass and a decrease in body fat stores! Foods high in fat also help you stay fuller longer, which prevents you from constantly snacking and feeling unsatisfied and distracted throughout the day. Honestly, this for me, is the bottom line of why I no longer count calories. I couldn’t go out to restaurants because I didn’t know how many calories the meals had. Sure, you can look up the restaurant’s nutrition facts menu online, but I doubt every location prepares the food the exactsame way and uses the exact same amount in every dish they make. It was an exhausting, restrictive way of living that was actually not living at all. I was merely surviving, having my days be ruled by numbers on a plate. I no longer choose to live that way. I now choose to trust my body, eat when I’m hungry, stop when I’m full, and allow myself. I know that sounds hard. It was for me, too. Letting go of the numbers that decide your intake and actually not counting your food anymore is scary, believe me. Letting go of control around what you eat and learning to trust your body is one of the hardest things to learn. But it is so worth it. Tune into your physical sensations. Do you feel hungry? Neutral? Satisfied? How long has it been since you have last eaten something? Notice what you want to eat. What sounds good? Sit down when you eat. Savor the flavors, texture, feeling, and richness of the food you are eating. Notice how the food makes you feel. Are you satisfied? If you feel like you want more, have more. It’s okay. Allow yourself. I hope this post helped those of you currently struggling with calorie counting. If you have any questions, feel free to contact me or leave a comment below!